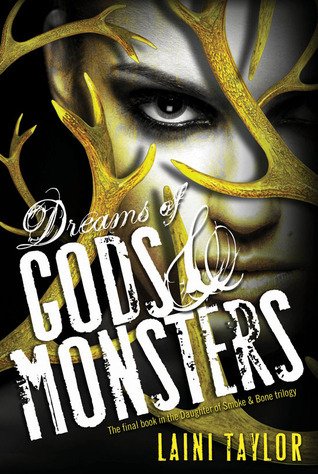 Laini Taylor ends her epic trilogy with Dreams of Gods and Monsters, satisfying readers while staying true to her narrative and understanding character obligations. As threats blossom and hope ails from fear, Karou finds a way to lead the Chimaera into battle with Seraphs by their side while Akiva believes that he can convince his Misbegotten group of warriors to aim their swords at those who dare to belittle them. 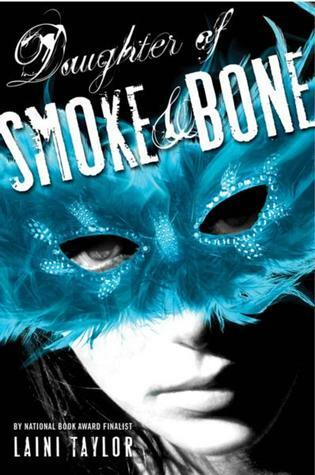 At the beginning of this final installment, Karou is badly broken. She's bruised, riddled with heart ache, and her hands are stained with blood. Readers will immediately empathize with all that she has done to save her people. She's a character to be respected. Karou has never been the girl to turn away and she stays true to the demands and needs of her fellow people, disregarding how they've treated her. The longing for a better world and her role in attempting to make one will reach out to the readers. After learning so much about Akiva in the second book, readers won't be surprised that he still has a few secrets. The twist: he doesn't know them either. Akiva is a man filled with love, hope, and loyalty who is troubled with despair, loneliness, and loss. If readers haven't fallen for him already, this Seraph will undoubtedly win their hearts within the pages of this last book. The most fun part about this novel is the surprising characters who become key components in the survival of Eretz. Ziri is hiding inside Thiago's body, pretending to be the White Wolf so that his Chimaera warriors will follow him to stand beside the Seraphs. 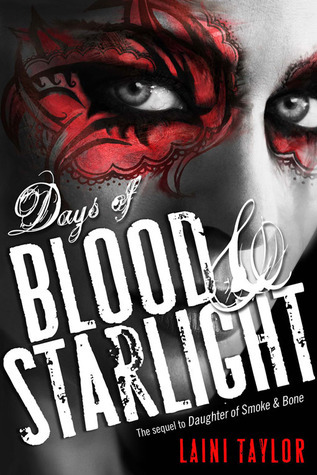 Liraz, badass sister of Akiva, who has killed more beasts than she wants to count, moody Misbegotten with a taste for revenge, shows a new side of herself letting readers see beneath her mask to form a bond with her. And Eliza Jones -- a simple girl who has hidden in plain sight for most of her life denying her true abilities but suffering from them nonetheless. She is the most surprising character and readers will definitely enjoy her revelation. The plot of the novel follows Karou, Ziri, and Akiva, among others, who create a plan to defeat Jael and bring a chance for peace to Eretz. With Jael trying to garner weapons of mass destruction from the human world, Akiva and Karou must convince their races that fighting together is the only hope for a future. Though it seems to be a powder keg waiting for a spark, the alliance is difficultly made and the fight for a future begins with many opportunities where everything could fall apart. Dreams of Gods and Monsters is everything I wanted in the end of the trilogy. It was a messy ending with an echo of truth and believability. Taylor's writing style held on to its poetic nature and presented the story in beautiful analogies and creative descriptions. I dare say I wasn't disappointed at all. Though I struggled with the wait for happiness, right beside all of the main characters.